Yes we offer a lifetime guarantee on all our products. If a wire pops out or elastic stretches, we will fix it for you for free, just get in touch. This significantly prolongs the useful life of a bra and also helps the environment: presently there are no commercially available facilities for recycling the synthetic fibers in EU and the used bras end up either burned or buried in the landfill. The easiest thing is to come to our workshop, look at our blog, sign up for our newsletter or follow us on social media. We regularly publish helpful content, promote new products and organise competitions. Our products contain elastane fibres (also known as Lycra or spandex) that come to c. 10% of total garment. However, all our products have cotton lining, so your breast touches softest high-quality breathable material. We make lingerie for fuller cups and plus sizes – this includes bras and underwear. We offer regular, nursing and medical ranges. Our regular collection is sold online. Nursing, mastectomy post-op, and mastectomy fashion are sold off-line and through 3rd parties. If interested, please get in touch. What traction do you have on the market as a new brand? Our product has been tested by 11 NHS trusts and 5 Harley Street breast clinics, who recommend us to patients. We are named Top best brands for D+ bras by The Independent. We also have been shortlisted for ‘Best new plus-size brand’ by the British Plus-Size Awards. But our greatest achievement is praise we receive from our customers. When did Ms Pomelo start making lingerie? We started the Ms Pomelo label in London in 2015. We have been making plus-size bras in Europe for over 30 years. What is the philosophy behind Ms Pomelo? We believe that a great-fitting bra is the secret to looking and feeling amazing. We believe the bra should never hold you back, no matter what you are doing. Our aim is to create bras which support heavier chests comfortably all day long, and are elegant and durable. We are actively involved in the full life-cycle of a product, from the selection of the type of fabrics, laces and accessories used, through to the application of the tags and labels. The mills and workshops we use are best-in-class European establishments taking as much pride in their products as we do in ours. We also carry the flag for educating women on bra-health issues, ultimately entrusting the power of choosing well to them. All items are manufactured in Europe out of EU-made materials. The product is made at our factory. We buy all input materials directly from the highest quality European suppliers and are 100% confident in the provenance of our product. How should I wash Ms Pomelo lingerie? It is safe to wash Ms Pomelo bras in the washing machine. We recommend using a wash bag to extend the life of your bra. Do not use fabric softener – it clogs up fibres and makes your bra less breathable. Click here to see our Product Care Guidelines. Will you alter to my size? I am 38H but I can see that most styles end with G cup. We can certainly look into this. Please email us with details of the style and size and we will get back to you. Can you help me translate between the sizes (I am a shopper from France, my size is 90E)? Yes, we publish an international size conversion table at our Bra School page. French 90E converts into 34DD UK. We present our sizes in UK/USA/EUR format. For the UK and US sizes, we use cup progression A,B,C,D,DD,E,F,G,H. What shrinkage/durability can I expect? If you follow the care guidelines, we expect the product to retain its optimal condition for 12 months, at least. We offer lifetime guarantee on our products, so if a wire pops out or elastic stretches, we will fix it for you for free. Just get in touch. Can you tell me what sizes you make bras and briefs in? Overall, our bra size scale covers 34D–46G (UK)/ 75D-110H (EUR)/ 34C-46F (USA). Our brief sizes range 12-26 (UK)/ 40-54 (EUR)/ 8-22 (USA). Each style focuses on specific size groups. 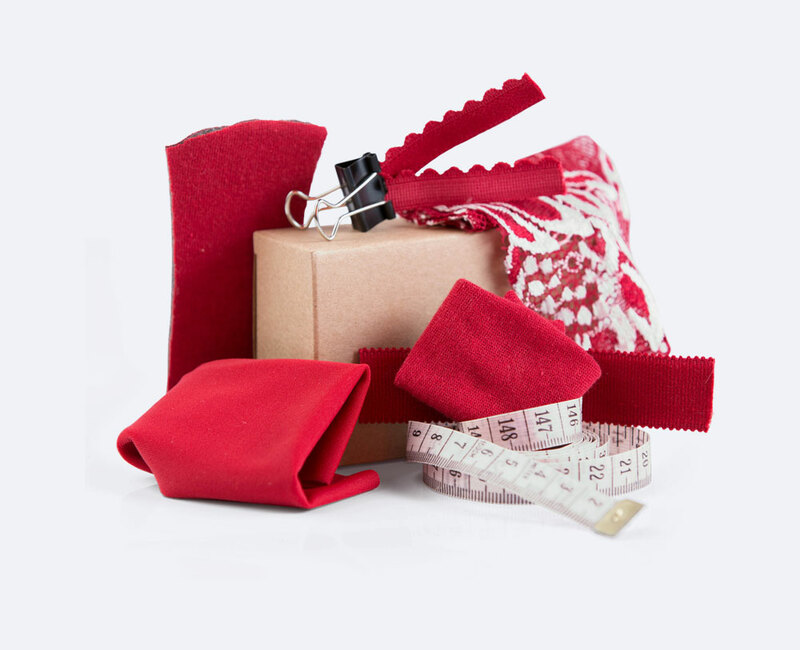 We ask customers to check individual product pages; you will find the size scale in the product features section. Don’t see your size? Interested in adding your size to our range? Email us. I am 38D in my current bra; will I be the same in Ms Pomelo bra? Our sizing is in line with major street names. But to be absolutely sure (4 out of 5 women wear wrong size), you must establish your size like this. What if you are out of stock of a particular item? The best thing to do is to drop us an email and we will let you know when we are likely to get that item in again. Yes. If you are absolutely stuck, please get in touch and we will help you. Can I come and look and buy Ms Pomelo bras in person from you? We do not sell in shops. Instead, we run Ms Pomelo workshops and would be happy to invite you to one or organise one for you and your friends or colleagues. If interested, please get in touch. Yes we ship globally. For further details see our Shipping & Returns page. Why is there an extra charge on my card? You should not experience charges beyond the ones we present to you. To check if additional overseas charges will be made by your bank, please contact your card provider before placing an order. If you have difficulty paying by credit card it may be because your card is not authorised for foreign payments; you’ll need to contact your card provider before placing an order. We accept payment with Visa (including Visa Electron and Visa Debit), MasterCard, Maestro (including Switch), and Paypal. The base currencies for all products on the website are GBP, EUR, and USD. For the full list of currencies, exchange rates and associated fees please see link. With Royal Mail 2nd Class Signed-for – 3-5 working days. With Royal Mail Special Delivery in the UK – 24 hours/next working day. With EU Signed-for – 3-6 working days. With US & rest of the world Signed-For – 7-14 working days. In the UK we use Royal Mail. For EU and rest of the world we use Latvijas Pasts. If your order is less than GBP 100/ EUR 100/ USD 100, the applicable shipping cost will be added to your total order value at checkout. For the UK 2nd Class Signed-For Service it is GBP 4.0; UK Special Delivery – GBP 7.0; EU Signed-For service – EUR 4.0; US and rest of the world Signed-For Service – USD 6.0. For further details is our Shipping & Returns page. If I order the wrong size, can I return the item? Refunds will be made by original payment method. First exchanges (value GBP 100/ EUR 100/ USD 100 or more) will also be re-shipped for free. If exchanged items are subsequently returned we will charge shipping for a second exchange or will deduct regular shipping cost from refund. If any items bought on ‘Special’ (reduced price) are returned, we will deduct the applicable regional shipping cost from refund/credit or will charge shipping on any exchange.